There are so many new active members at PH. The forum really grew alot in terms of active members. We are nearly at 4500 members. And then we will be at 5000 soon! It's so nice to keep have the fanbase growing even after the olympics. Usually the post olympic season is when newbies hop onto the fandom the most. Anyone know how many members PH had last year of April? @micaelis as someone who has spent a good deal of my life in hospitals, you have my sympathy and empathy! You have all of our prayers and good wishes for recovery from and/or amelioration of your various medical issues. It is a good thing that you don't have a laptop to take to the hospital with you. The last time I was in hospital in October and November last year, I used the hospital's unsecured Wi-Fi network and was hacked! 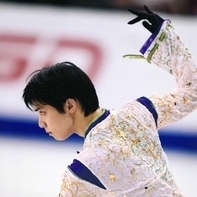 not sure what the golden portion is but Yuzu is The Golden Boy! not sure what the golden portion﻿ is but Yuzu is The Golden Boy! Oh what I intend to do is to build a wordpress page with a timeline theme and go chronologically from 1994... it should have events, links to interviews/shows/competitions, some videos/images I would host myself, some not (if the fan sub does not want re-posting), with links to credits... hopefully, I can also link up which event comes from which interview/book, etc. This can be continuously updated as and when more information comes in, so it will be a dynamic timeline. The idea is to list everything, such as first 3A, coach changes. As of now it's on my private webserver and an excel sheet as I'm combing through stuff to sort through the massive information available. Thanks to ElenaC, an Origin commented by Max Ambesi and Angelo Dolfini and with subs for everybody! @kaeryth beat me to it, but what they're talking about is the Golden Mean, not the 'golden portion'. Basically it's considered the ideal ratio of length and/or width to height to produce an image pleasing to the eye. Julia's analysis of Origin from the World Championships. It is in Russian but with google translate it is easy to translate. I am one of them. I joined last year after the Olympic. I didn't know then that I would step on a very stressful road. 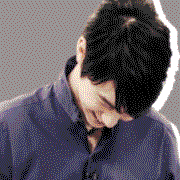 After about a year, I feel like I went through a circle: start with the dry period, the expectation to see Yuzu appear from his cave, media day, new programs, new costumes, expectation to see him polish his programs. Then he got injured, disappeared. I waited for his comeback. He came back, my heart was filled with excitement and happiness to see him and his great performance, then he disappeared. Now with the dry period, a new circle has started I guess. I really admire fans who went through many seasons with him and still have hair! Anime like proportions-makes him so interesting to watch. I wonder what the other skaters proportions are like? We had ca. 2900 members a year ago in April. Apart from the period when the Planet was born (end of April-May 2017), we had the most registrations after the Olympic Games, especially in April when we had hundreds of new satellites within a month. The Olympic Games brings huge attention and many people who don't follow the sport - or just watch it every four years - watch figure skating at this time and they discover skaters as well. 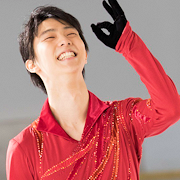 With Yuzu winning the gold back-to-back it was a whole different level then, because he was already extremely popular before, but his second OGM brought many new fans to the sport as well.